New Delhi: A “family jibe” got personal as Maharashtra politician Sharad Pawar today hit back at Prime Minister Narendra Modi over a comment at an election rally and remarked: “He has no one. How will he know how to run a family?” Trinamool Congress leader Derek O’ Brien tweeted the words with the comment: “‘Uncle’ Sharad Pawar. Punches”. Sharad Pawar, the chief of the Nationalist Congress Party (NCP), was responding to a weeks-old comment of PM Modi at a rally in Jalna. “Modi Ji says ‘Pawar Sahab is a good man but has family issues. His nephews are out of his hands.’ I wanted to ask him what does he have to do with issues at my home? But then I realised I have my wife, daughter; son-in-law, nephews visit us, but he has no one,” Mr Pawar said. PM Modi had taken a swipe at him over reports of a feud within the family, between Mr Pawar and his nephew Ajit Pawar. “How will he (PM Modi) know how to run a family? That’s why he peeps in others’ homes. I can say more also but I don’t want to stoop to low levels,” Mr Pawar said. Soon after, Derek O’Brien tweeted the ANI post, tagging the NCP leader. 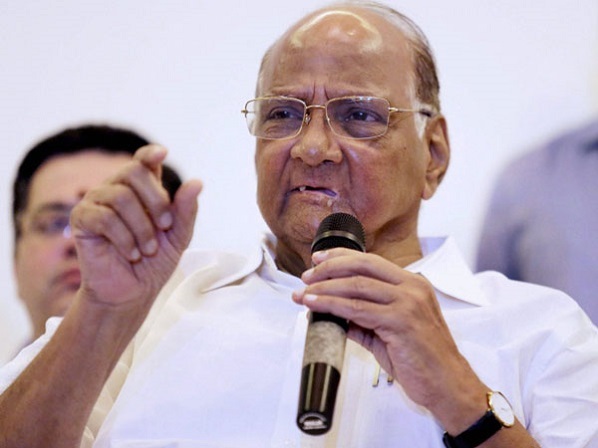 Mr Pawar, a former union minister who retired from electoral politics in 2012, had surprised many when declared in February that he would contest the national elections. The 78-year-old was believed to be preparing to contest the Madha seat in southwest Maharashtra. But he changed his mind, hinting at family compulsions. “I thought that already two members of my family are contesting polls this time and hence I felt this is right time to take decision to not contest, since I already have contested 14 times in the past,” he said. Mr Pawar’s daughter, Supriya Sule, is already a lawmaker and will be contesting again. The second member he was referring to is his grandnephew Parth Pawar, son of Ajit Pawar.